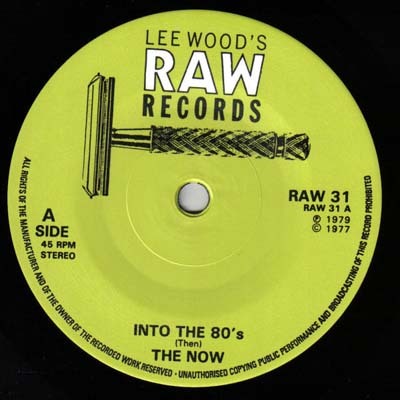 VINYL 7″ SINGLE 1979: “Into The 80’s” / “9 O’Clock” (RAW Records: RAW31) …… recorded in 1977, released late 1979 but most copies of the single were destroyed in a warehouse fire ! 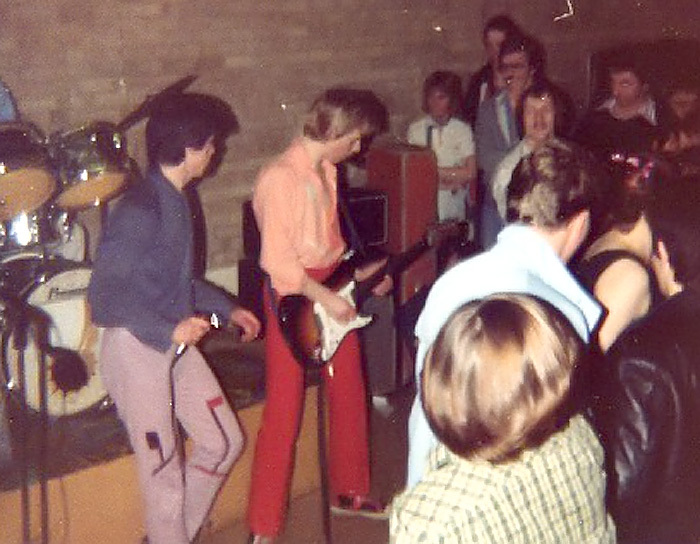 The Now, Peterborough’s first punk rock band, formed late in 1976. Founded by Mike McGuire and Steve Rolls. 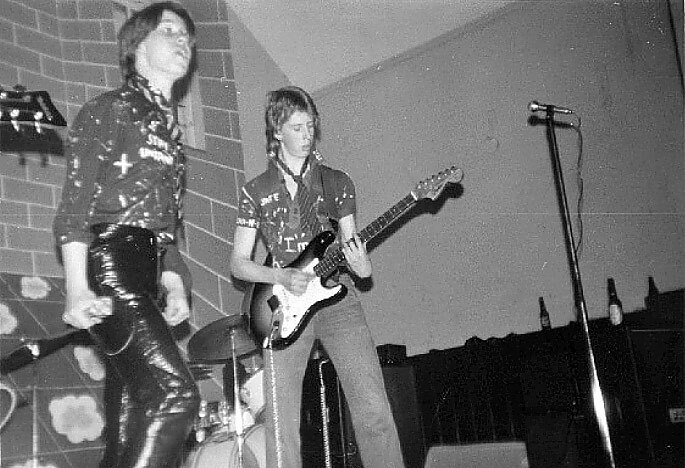 Mike and Steve were at the time performing with The Faderz, who had only existed for a few months, before they had hooked into the London Punk scene in 1976. Joe MacColl and Paul Wicks (aka The Dangerous Dip or occasionally The Mysterious Dip) were recruited immediately to form The Now. 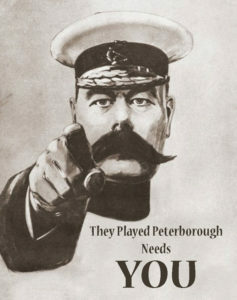 Early gigs were self organised affairs, notably at the Peterborough Marcus Garvey Club – a community club, mainly catering for the city’s West Indian community. 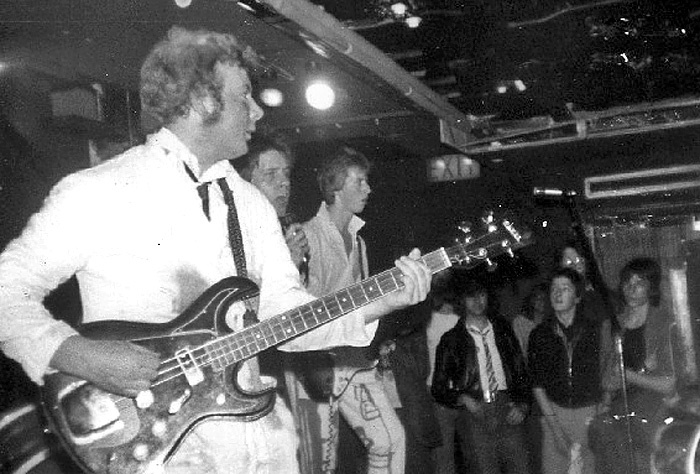 Such gigs were usually with local reggae artists such as The Legions and any punk band who would dare come out of London (or other major cities), such as 999, The Killjoys and Eater, as well as new local punk bands such as Heavy Manners. This was a great challenge for The Now since putting Punk Rock into an East Anglian provincial environment (where there already existed a time warp sensibility), caused a lot of friction at the time. During this time The Dangerous Dip was replaced on the bass guitar by Faz Farrow. 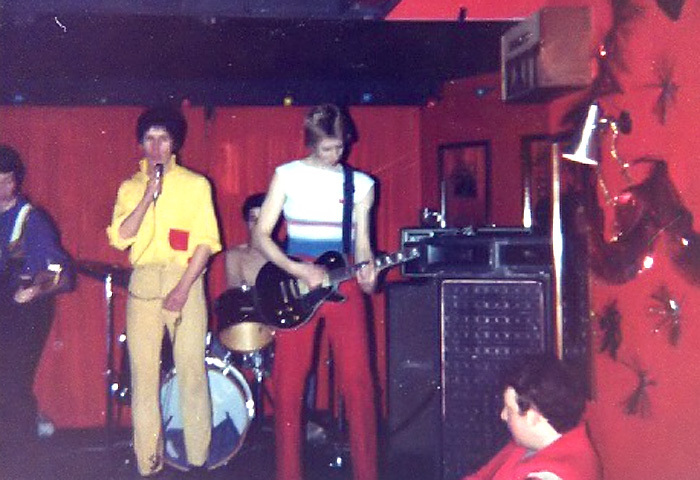 The Now were managed by Allen Adams who later went on to form the band The Destructors. The Now were far removed from what is traditionally known as 123 ‘Punk’ thrash with intelligent songs, political lyrics and a real sense of small town frustration and anger The Now were unique. This was real urban punk rock, devoid of big city trends, tolerance and fashion. The Now played many gigs, and could often be found playing those early, then famous, London venues such as Roxy Club and The Vortex clubs in London. 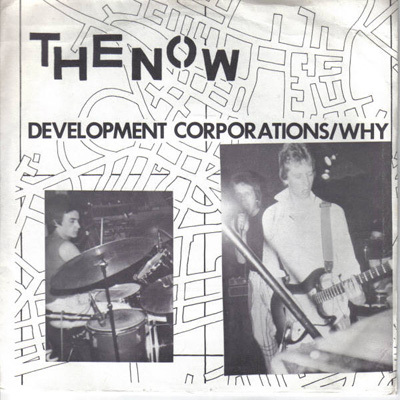 The Now released two singles ‘Development Corporations’ / ‘Why on Ultimate Records in November 1977 (they were harder to make back then) and a deal with Lee Wood’s Raw Records signed in mid-78 produced two songs, ‘Into The 80’s’ and 9’O’ Clock (actually recorded for Raw in late 77) which were re-mixed and scheduled for March 23rd release. This 7″ single was delayed due to economic problems which would soon force the Cambridge based label to close down. When it eventually emerged on November 30, only 800 copies were pressed, with at least half of these being destroyed in a fire at Raw’s warehouse. Both singles were, in the main, well received. The first single, Development Corporations, reached number 4 in the Sounds alternative chart and number 2 in the Time Out chart in 1977. Around this time, The Now, went their own ways through mutual consent. In 2002 there was a great deal of interest around the original singles, particularly in Europe. As a result, a German record company, Last Years Youth, duly re-released both singles, containing a couple of previously unreleased versions of the original songs. 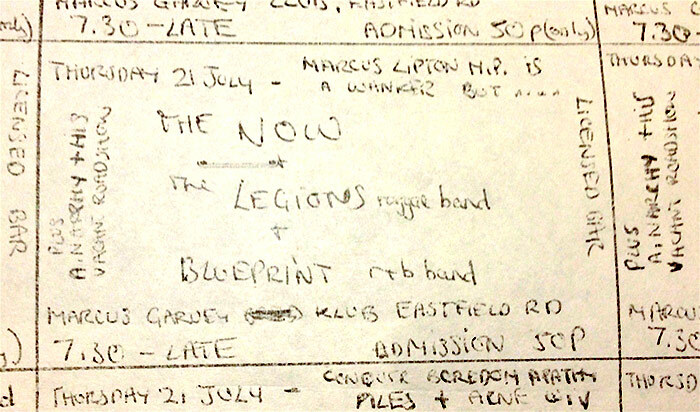 It was a logical progression (albeit unusual) to use this exposure as an opportunity to record and release a definitive version of all of the early songs written by The Now. Fuzztone Fizzadelic was recorded during 2004 by the four original members of The Now, representing their original set list, as performed in 1977. In true punk rock style The Now rehearsed for 3 hours and had just 2 (short) days in the studio for recording and mixing …… 27 years between writing and recording must be some sort of record ! Fuzztone Fizzadelic was released in 2005 on the Damaged Goods record label.